Wire thread insert is a kind of fastener used to increase strength inner thread and repair it. 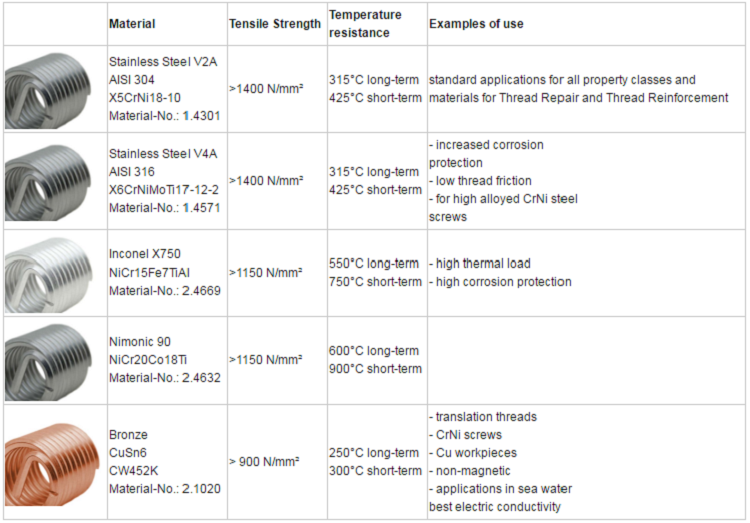 It is usually forming cool rolling stainless steel wire with high strength, high accuracy and high smooth finish. It is the concentric for inner and outer screw thread. 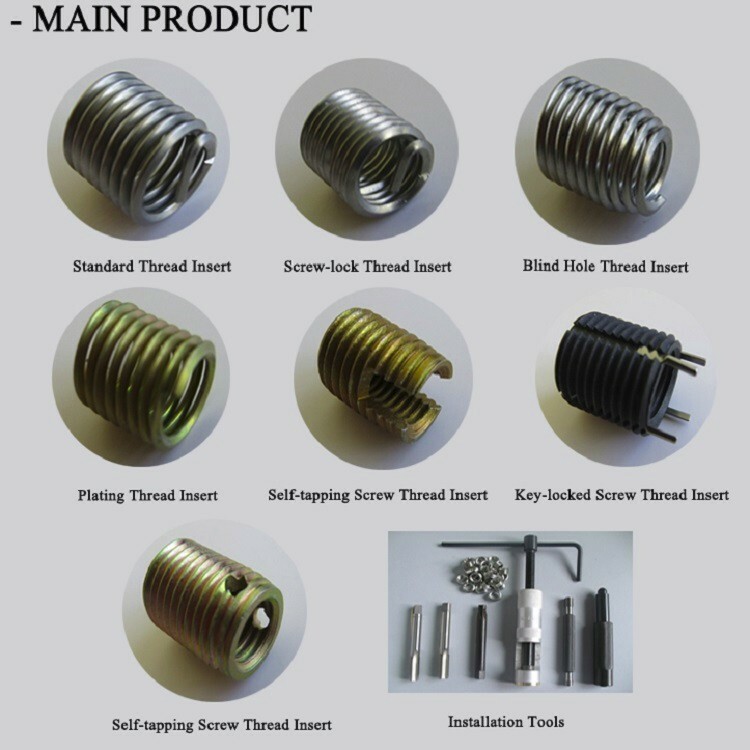 Wire thread insert has been assembled to be a high precision inner screw thread according to the relative standard, its varied capability is much better than the inner screw thread which is directly formed by thread wimble. In 2008, Standardzation Administration of the People's Republic of China/ Fastener TC(SAC/TC85) authorizes Liming Component to establish the China Standard for wire thread inserts (GB/T 24425.1~GB/T24425.6~2009). Mr. Shi Wenxiang, the director of Liming Componet, drafts the standard which includes "General type wire thread inserts", "General type wire thread inserts for blind hole", "Prevailing torque type wire thread inserts", "Prevailing torque type wire thread for blind hole", "Internal thread for wire thread inserts", and "Specification for wire thread. Liming Machanical could make products as required, too. DIN 8140, DIN65536, EN2944, LN9039, LN9490, LN9499, NASM21209, AS4736 to 4748, AGS3700 to 3799, MA3279 to 3281 and NASM214850, etc. All the associated tools of the thread insert include simple spindle inserting tool, tangless tool, extraction tool, and screw tap which is to process assembled wire thread inserts screw hole (that could be according to QJ2820A or other international standard), screw pluggauge which is to install the screw hole of wire thread insert (that could be according to QJ3001.1~3100.3 or other international standard). There are varied kinds of simple inerting tool. Liming Component design different tools to satisfy different requires in the world. 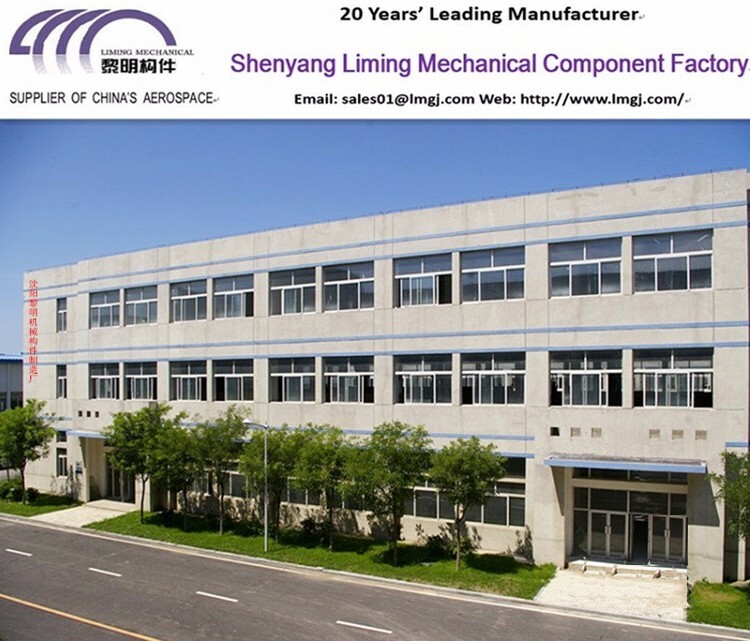 Established in 1993, Shenyang Liming Mechanical Component Factory is a leading manufacturer specialized in producing wire thread inserts and metal sealing rings for more than 20 years. 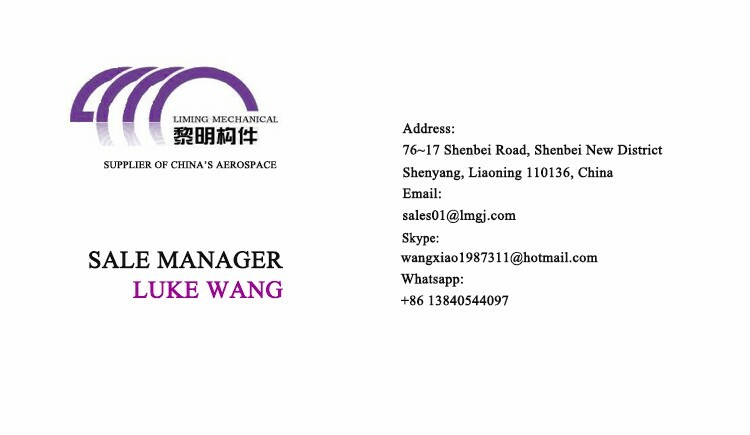 With reliable quality and good faith, Liming Mechanical Component became supplier of China Aerospace Science and Technology Corporation (CASC) and many other military factories in China. Our products are widely used in "Shenzhou VI", "Shenzhou VII" spacecraft, "Chang'e I" satellite, and launch vehicles, missiles, etc. To satisfy different demands, Liming mechanical built five production lines. Two normal thread insert production lines to produce seven main kings of thread inserts, one military standard thread insert procuction to satify China's military orders, one matel sealing ring production line to produce matel sealing rings, and one CNC machine processing production line to produce accurate special mechanical components. Normally, threre are many processes in the production including, wire rods feeding, rolling, winding, cutting out, wire drawing, forming, threading, passivating, washing, coating, etc. 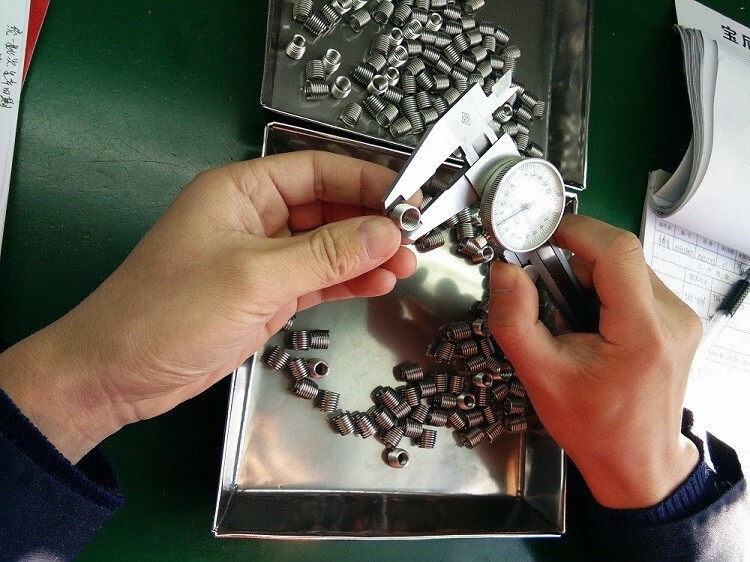 An eight people QC Department respose process inspection and product inspection. There is specific person to inspect every process in the production. Are you manufacturer or trading company? Is that wholesale price? We are 24 year's manufacturer specific in machanical component. Normally, our price is wholesale price. What is the qualified rate of your products? We promise our products are 100% in quality. Could you produce special machanical components? Yes, we can. 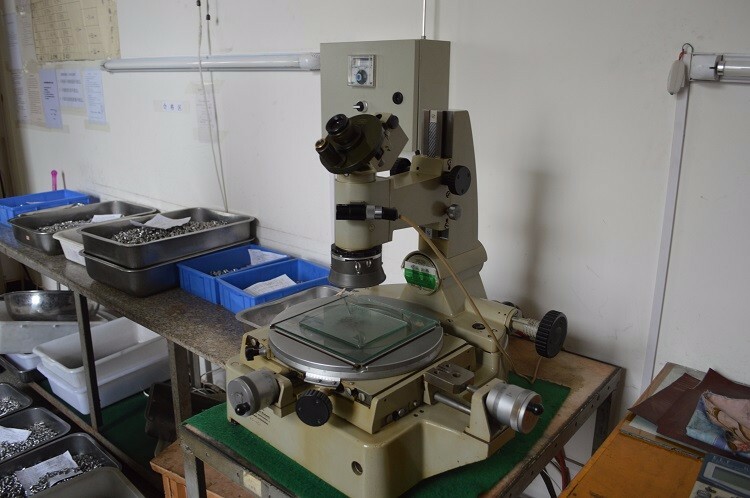 We produce special unstandard components for our old customers according to particular requirement.